If you are a commercial or a public entity that has a parking lot, then you must comply with fire lane and ADA (Americans with Disabilities Act) compliance. This code was re-issued by the U.S. Department of Justice (DOJ), Civil Rights Division, in 2010 and affects state and local governments. In this article, you will learn about the 5 great tips that will help you to comply with these regulations. For a parking lot, you are open to two types of paint. Alkyd (oil-based) and Latex paints. Alkyd paints or oil-based paints that provide a high gloss, durable finish. They have better adherence that helps them to stick to any surface. These will be used for re-stripes and new layouts of the parking lot. Latex paints are preferred for use on resurfacing lots, though it can also be used for restriping and new layouts too. Latex has a much better color retention and has excellent adhesion to both concrete and asphalt. This depends completely on your lot size and shape, entry and exit orientations, and so on. You may have straight in-parking stalls, where the car is 90 degrees to the aisle. 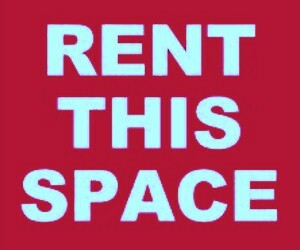 You could also have an angle parking, where stalls are 45 to 60 degrees in relation to the medium or aisle. Or even parallel parking to the aisle. Whatever your design, keep in mind that lines must be 4” wide in all cases and 15’ to 18’ long. 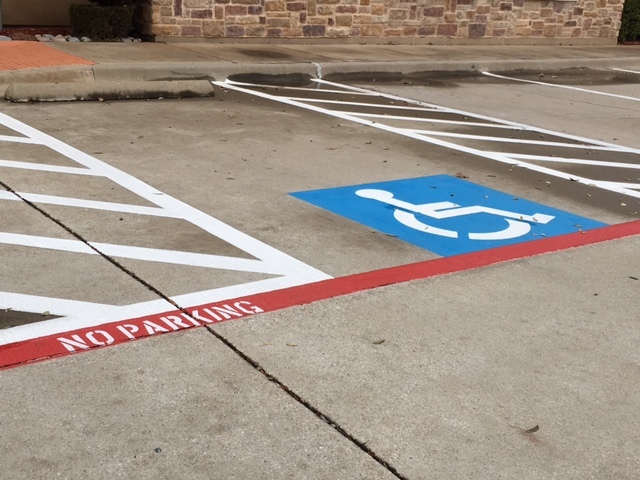 And to comply with ADA stripping requirements, you must have an accessible (handicap) parking space for every 25 spaces with 60-inch wide access aisles located adjacent to the designated parking space. The access aisle is just wide enough to permit a person using a wheelchair to enter or exit the car. These stalls must have a sign with the international symbol of accessibility mounted high enough for visibility. All accessible parking spaces need to be located within easy access to a facility entrance. If the building or the facilities as a whole have multiple accessible entrances, then the parking spaces should be dispersed as well as located nearest to the accessible entrances. With respect to the route from the parking lot to the facility entrance, you must keep in mind that the route needs to be at least 3 feet wide, should have no curbs or stairs, and also contain a firm, stable slip-resistant surface. – A wider access aisle, 96-inch wide so a wheelchair lift can be accommodated. – Vertical clearance to accommodate van height at the van parking space. At the fire lane location in your parking lot, there must be both markings on the curb or pavement and on upright signage. The curb must be red painted with reflective 3-inch minimum block lettering stating “NO PARKING – FIRE LANE”. These words must be clearly visible from a vehicle. Besides this, a sign posted immediately adjacent to and visible from the designated place, where it clearly states in letters not less than one inch in height that the place is a fire lane.